For those that don’t know, vehicles that earn top marks of “Good” in frontal-offset, side-impact, and roof strength crash tests are named an IIHS Top Safety Pick, but vehicles that also do well on the new small overlap front crash test are given the extra “+” to show that they’re not only super-safe, but among the safest cars on roads today. And actually, the 2013 Civic didn’t stop there; not only was the vehicle named a Top Safety Pick+, it was also the best performer in terms of “Good” ratings for both its two-door and four-door models among the most recent batch of small cars tested. To date, only two small cars have scored that high. When it comes to the 2013 Honda Civic, Lemon Grove customers are obviously very excited about the prospect of owning one of the safest small cars in existence. 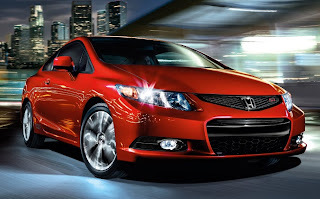 Honda dealers like us here at Pacific Honda are probably even more excited, because we know it’s this kind of thing that will continue making the Civic a best-seller for years and years to come.